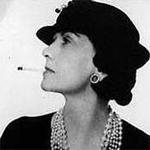 “A woman who does not wear perfume has no future” said Coco Chanel. This style genius has been offering this future to a lot of women since 1921 with the magic Chanel no 5. Timeless, seductive and classy, this perfume bewitches people all over the globe and stands for the absolute symbol of femininity. With one bottle sold every 55 seconds somewhere in the world, Chanel no 5 is on everywhere! At the time of the French release of "Coco avant Chanel", the new film starring Audrey Tautou about Coco Chanel's youth, let's take a look at her sweetest-smelling success. If one knows only one perfume, it is Chanel no 5. And for good reason: it is not a simple fragrance anymore but a mythical elixir of seduction and glamour worn by the most beautiful and elegant women ever. 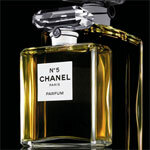 Indeed the question is now: how can one be a woman without Chanel no 5? « Fashion fades, only style remains the same » as Coco Chanel once pointed out, but what is the secret of the Chanel no 5 style? When Coco Channel decided to launch a fragrance, she asked her perfume designer to create something which « smells exactly like a woman. » The idea was to make up something new which cannot be associated with one flower or one essence as it was the case at the time but a complex composition with several facets. Just like a woman. Chanel “Nose”, Jacques Polge explains: "There was jasmine, rose, gardenia, lily of the valley... For me, No 5 was the first perfume that used flowers – lots of flowers – but that didn't immediately relate to one in particular." The composition of this elixir is a well-kept secret and a complicated mixture… First it stood apart from other perfumes because of its novelty. Ernest Beaux used for the first times the synthetic component aldehydes in these proportions. A legend says that Ernest Beaux's assistant overdosed the aldehydes by mistake, creating the first modern fragrance ever. Whatever it might be, combined with rose and jasmine, this creates a wonderful effect. The fragrance of aldehydes is pure and fresh, reminding one of the odours of clean linen. Then the extremely high quality of Chanel no 5 is to be emphasized in this success story. Mademoiselle Chanel wanted to be sure her perfume could not be imitated and therefore chose two of the most expensive ingredients used in perfumery: rose and jasmine. And to be sure to have the best of it, Chanel signed a contract with the Mul family in Grasse to get the finest flowers exclusively. No less. And the truth is that Chanel no 5 embodies the whole spirit of the French mythical brand: luxury, no gaudiness. 'Less is more' can be the credo of the bottle of this precious elixir. 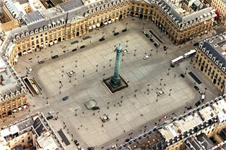 Designed by Coco herself, it is a basic rectangle in the shape of the Place Vendôme. No logo, no ornament, just a minimalist design and a number. And yet this bottle is by now as recognisable a part of contemporary culture as Coca-Cola. 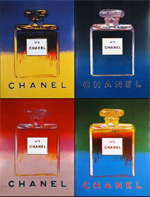 Andy Warhol even painted it … inspiring Chanel to use his work in return for a commercial campaign! Then Chanel chose its faces with extreme care. The most beautiful and elegant women represented Chanel no 5: Catherine Deneuve, Carole Bouquet, Estella Warren and more recently the Australian Nicole Kidman. Now a new ad with Audrey Tautou is about to be released. Only actresses… this perfume loves to be in touch with cinema! For the last few years, the No5 ads have even been made like movies by famous film directors. The first one starred Nicole Kidman, captured by Moulin Rouge director Baz Luhrmann. On 5th May this year, the second one is to be released. All we know is that it has been directed by Jean-Pierre Jeunet with his muse Audrey Tautou in Turkey and on the “Orient-Express” and with atmosphere that this implies. The young British actor Travis Davenport played opposite her. It promises to be magical… Nothing is too beautiful for Chanel no 5! I have an bottle of chanel no. 5 in an andy warhol box how much would it cost me to obtain another one?? I have an unopened bottle of the limited edition Andy Warhol Chanel No 5 and poster. How much is it worth?